Like you guys said on the podcast, I have little to no recollection about what this tastes like. If I remember correctly, it was similar to Sprite/7-Up, NOT Pepsi (like the advertising implied). I’ll definitely buy a bottle or two, but that’ll be enough until the next time it comes back. Personally I’d rather have Pepsi Blue or some of the flavors they have in Japan. Now if Holiday Spice Pepsi made a comeback, I’d stockpile the heck out of that. I remember Crystal Pepsi very well from my youth. It was NOT similar to Sprite or 7-up. It tasted exactly like Pepsi, minus the caramel coloring. 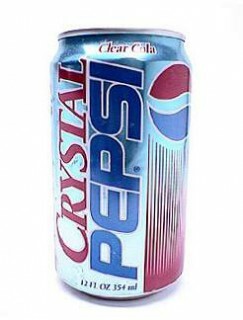 Right after they stopped making Crystal Pepsi they started making a different drink called “Crystal from the makers of Pepsi”. This product was citrus soda. remember having Crystal Pepsi when it was first released, but no real memories of how it tasted, partially because I don’t think I was quite able to discern subtle differences in taste at the age of 6. Anyways, today I managed to snag myself a bottle of Crystal and a bottle of regular Pepsi today for comparison. For the most part, they taste very similar. 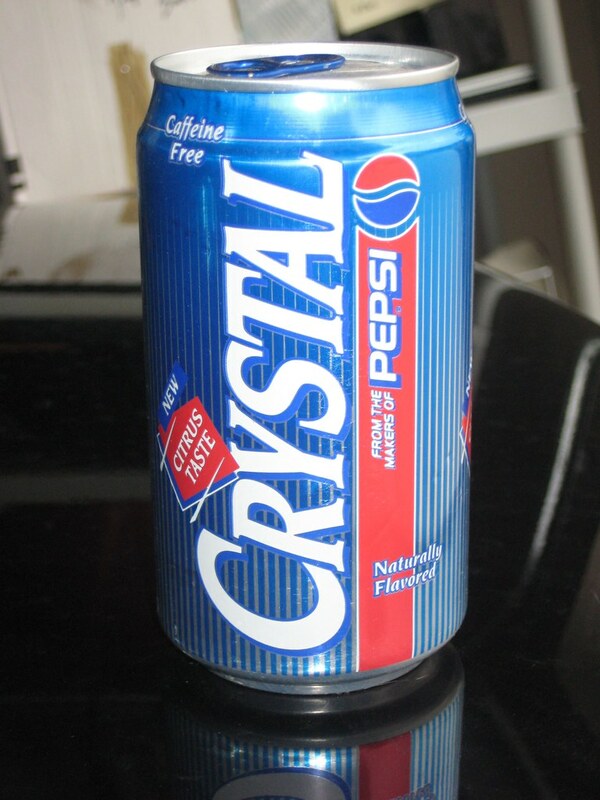 The only real difference is that Crystal has less of lingering caramel after taste than regular Pepsi has.